The Contest Between Islam & Christianity Returns? Are we headed into a new age of Islam v Christianity? What people do not grasp is that the first panic in our list of panics from which I derived the Economic Confidence Model was 1683. That was the invasion of the Ottoman Empire directly against Vienna, which was the seat of the Holy Roman Emperor resurrected following the death of Charlemagne. 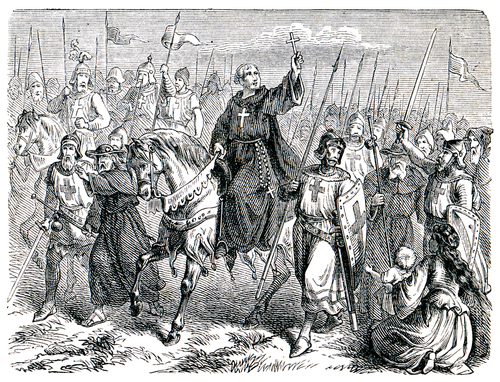 The First Crusade (1095–1099) was the the initiation of this religious war. However, the actual conflict between Christianity and Islam began in 1064. The Seljuk Turks stormed Anatolia (modern Turkey), taking Caesarea and Ani. This was the beginning of the invasion of the Turks into Western culture. In Spain, King Ferdinand of Castile took on June 9, 1683 Coimbra. Then, European warriors stormed Spain to participate to the siege of Barbastro, which Pope Alexander II first preached the Reconquista in 1063 as a “Christian emergency.” This expedition was requested by the Pope, which was really the first Crusade despite the history books. The Crusade of Barbastro was an international expedition to retake the territory in Spain from the Hudid Emirate of Lārida. The large army was composed of elements from all over Western Europe and the siege and conquest of the city thus took place in 1064. From this point in time, 309.6 years later we end in the preparation for the final peak in the Ottoman Empire. The Ottoman Empire was founded in 1299 and had moved into Eastern Europe conquering Serbia 1389 and Bulgaria by 1396. Constantinople fell in 1453. It was during the 14th century when the Ottomans revived the still-older concept of a caliphate. They declared that the sultan and caliph were one and the same. 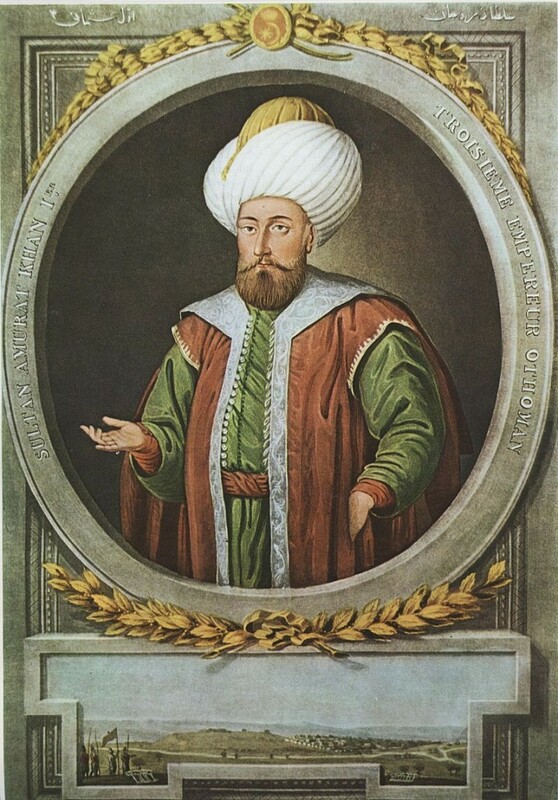 Murad I (ruler June 1326 -June 1389) was the first Ottoman ruler to actually claim the title of Sultan 1383. The holder of the title Sultan was originally the power behind the throne of the Caliph in Bagdad. It was later used for various independent Muslim Monarchs. This title was senior to and more prestigious than that of Amir. Moreover, it was not like the title of Malik ‘King’, which was really a secular title or Shah among Persian or Iranian rulers. Murad I actually established the former Osmanli tribe converting this into into a sultanate. Therefore, we are looking at the resurrection of the caliphate, which began in 1383 and reached its peak in 309.6 years. by 1692. 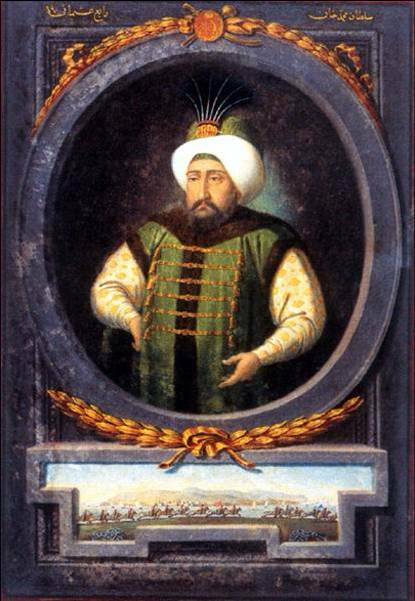 It was ultan Mehmed IV (Sultan 1648 to 1687) who marked the peak. His ambition was to take all of Europe. On May 3, 1683, Sultan Mehmed IV entered Belgrade. Then on July 14, 1683, his 140,000-man Ottoman army arrived at Vienna and began to lay siege to the city, whioch was the seat of the Holy Roman Empire. Then on September 12, 1683, the Battle of Vienna took place. The Ottoman siege of the city was broken with the arrival of a force of 70,000 Poles, Austrians and Germans under Polish–Lithuanian king. This was the contest between Islam and Christianity. From that point onward, with the death of Mehmed IV in 1687, the decline and fall took shape by 1692. This claim of the Sultan being the caliphate lasted until 1924, when Mustafa Kemal Ataturk, the great modernizer, abolished the office as a relic, insisting that Turks had to build a new Turkey and not lay claim to an enervating empire, temporal or spiritual. This was covered by the magazine the Economist on March 8th, 1924. Therefore, 1924 marked the split of the Muslim world into two primary factions with the Turks and other nationalities being free of Ottoman rule, embraced Western culture. However, the rise of ISIS is the attempt to resurrect the Caliphate. However, the concept behind the Caliphate lies a message of salvation through an international Muslim solidarity. The President of Turkey, Recep Tayyip Erdogan, retains a vision for “his” rebirth of Turkey. He dreams not only of new age of the Ottoman Empire and the former glory, but of a caliphate reborn and led by a Turk. Many suspect that he sees himself as the coming Caliph and this is greatly ignored in the West. The end of the Caliphate in 1924 was 860 years from 1064. There is a significant risk that we will end up in a religious battle by 2036 on the other side of 2032.